You can learn how to get the lead out—a good thing for soil and people’s health—when Alyssa Zearley of CFAES’ School of Environment and Natural Resources presents “Testing Soils for Urban Agriculture” from 10:30 a.m. to noon, Saturday, Feb. 16, during the annual conference of the Ohio Ecological Food and Farm Association (OEFFA) in Dayton. Zearley, who is a research associate in the school’s Soil Water and Environmental Laboratory, will talk about easy field tests for evaluating soil; what to look for when considering soil health; and what to do about lead in soil, potentially a challenge in urban farming. You’re encouraged to bring your own soil sample to work with—about 1 cup’s worth; soil will also be provided. It’s one of the nearly 80 workshops being offered at the three-day conference, which starts on Thursday, Feb. 14. 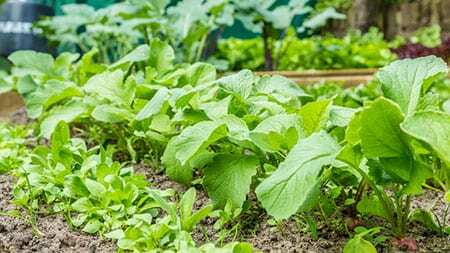 Posted by Kurt Knebusch at 2:17pm February 12, 2019 Posted in At Home, On The Farm and tagged soil health, sustainable agriculture, urban farming. Bookmark the permalink.